Not all that long ago, the computer was used for work, gathering information, presentations, e-mail…. that type of thing. We had desktops, and then laptops which you could take anywhere.. Now we can always be connected. Getting on line is as easy as turning on your cell. You can connect, switch browsers, chat with friends, check the gossip on Facebook, MSM, and Twitter – and then click back and do your job. You can share pictures, share jokes, read newspapers and blogs. Everything’s out there – not even a click of the mouse -- everything is so simple. So what’s the problem? It's become an addiction. Many people are hooked to the cell phone. They get anxiety and depression when they turn it off. The BlackBerry has been nicknamed the ‘CrackBerry’ because similar to crack cocaine, it’s so easy to get hooked. This ‘Internet ADD’ affects a lot of people. Computer Addiction – that’s the topic for the month of March in the Newsletter Powerful Living. There was no internet problem back in the 80’s because the computer was confined to offices. Problems started in the 90’s where the word ‘internet addiction’ was coined as a compulsive behavioral problem. Dr. James Fearing of the National Counseling Centre first diagnosed Computer Addiction with these symptoms. Check if you or anyone you know has them. Knowing that you’re on line too much and telling yourself you’ll stop, but you don’t. Hiding, covering up, or lying about how much time you’ve spent on the net. Compromising your morals and values based on anonymity, Are you proud of the sites that you’ve visited and what you do there? Have you or your family experienced negative consequences as a result of your internet behavior? Placing importance on your computer and defending your behavior in spite of what others tell you. 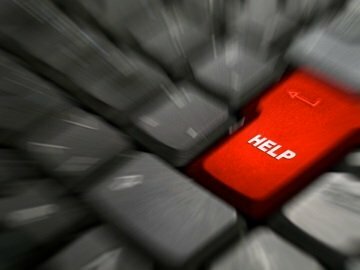 Feeling depressed or anxious when your computer time is disrupted. When something irritating, frustrating or uncomfortable happens, you escape into the computer. Financial concerns due to money you spend due to charges or other costs, on the computer. If you recognize at least one of these symptoms you may have an Internet Addiction. While physical side-effects are mild compared to chemical dependency, addictive use of the internet will result in family, academic and occupational problems. This problem may be helped with ADHD medication, but before you use meds, try these tips. 1)	Monitor your browsing habits. You may not be aware of how much time you waste. 2)	Set times during the day to handle your e-mail – personal or otherwise. 5)	Do not use Twitter? Facebook etc .during working hours. 6)	Go Invisible, disable sound alerts and pop-ups. Focus on the job and don’t allow interruptions. 7)	Restrict times you spend playing computer games. 8)	Go to bed earlier. 9)	Don’t get on the computer if you can’t sleep. 10)	Get involved in more activities: jog, go to the gym, call friends instead of chatting online. The internet is an amazing tool, but like anything else, it can be abused. My husband is a good man and a very good father, but we’ve both decided that we’re not in love with each other and we’re separating. Neither of us have anyone else. Both of us have agreed not to use our children as weapons against each other. We love our children very much and they are still too young to understand that we’re breaking up. Do you think we should stay together for the kids? It seems that both of you have made up your minds to separate. Staying together for the sake of the kids would only add stress to all of you. It’s nice to hear that you both can separate so amicably. Some couples agree to live within walking distance from each other. Others decide to live in a duplex, with the kids having access to both residences. Whatever you decide I hope you manage to continue to stay good friends. Do your kid’s drive you crazy? Do they do drugs? Shoplift? Have anger issues? What to do? Parenting Difficult Kids. That’s the topic for next month’s newsletter.